Even I, the Gallant Pelham, the same dude who has been railing about America’s disgraceful treatment of the “other” for over 150 years (if only recently on the Internet! ), can hardly believe that President Trump, not to mention a sizeable contingent of the Republican Party, is using Mollie Tibbetts’s murder by an illegal Mexican immigrant to stir up his “base” and gain support for his ridiculous border wall. I’ve often spoken about moneyed interest stoking the flames of racism to distract people from the source of their true grievances (more often than not, the moneyed interests! ), but blaming illegal immigrants for crime, especially the most terrible, violent crime, is beyond the pale. The statistics simply don’t bear it out. As per usual, Trump’s claims aren’t true, he’s lying. He lies and he lies and he lies. And unfortunately his base, overwhelmed by grievances they are powerless to address, is all too ready to believe his lies. Talk about the WORST angels of our nature! If they could only see they were falling for the oldest ploy in the book—the use of racism to maintain power. Do not think for one minute that I do not grieve for Mollie Tibbetts, her family, and all those she left behind. But like the murder of Kathryn Steinle a few years back, which was also exploited by the right-wing, it is based on a deeply ingrained cultural fear—white women, especially attractive, young white women, being sexually victimized by men of color. It’s been over one hundred years since t his perverted mythology was vividly depicted in D.W. Griffith’s The Birth of a Nation, in which a seemingly sexually crazed black man (actually a white actor in black face) chases an innocent young white girl until she throws herself from a cliff rather than fall victim to the black devil himself. 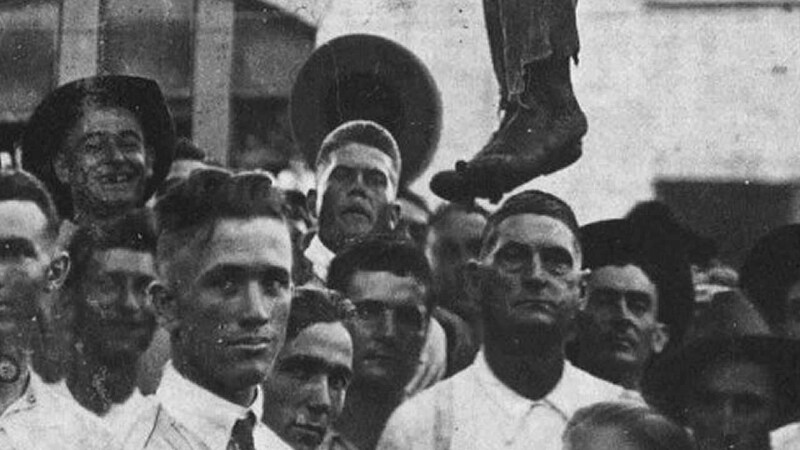 And it’s the same irrational fear that led to the lynching of thousands of black men during the Jim Crow era. If you ask me, it’s high time that white America face up to its demons!